Timeless Custom Estate Home built by Phil Miller Construction with Quality and Attention to Detail throughout. Exterior features an all Brick with Natural Stone & Architectural Accents and Details providing outstanding curb appeal. Elaborate millwork & architectural detailing with superior applications by craftsman long associated with Builder. 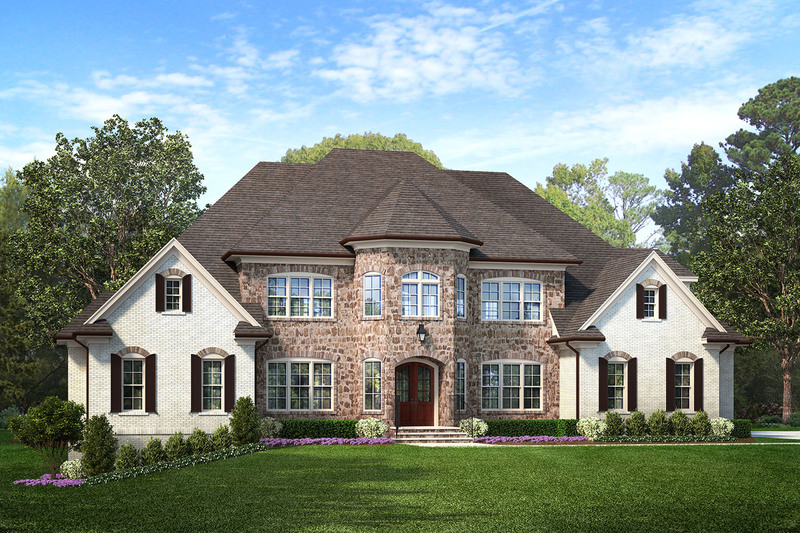 Grand 2-Story Entry Foyer flanked by detailed Cased Entryways to elegant Dining Room and Study/Library. Main Floor Master Retreat with Cathedral Ceiling & Cozy Sitting Rm with Fireplace & Bookcases. Open Kitchen with Custom Designed Furniture styling Painted Cabinetry, Tile Backsplash, Over & Under Cabinet Lighting, Center Island and peninsula Gathering Bar. Family Room Features Vaulted Beamed Ceiling & Massive Fireplace flanked by Built-in Entertainment Centers. Stainless Steel Gourmet Appliance Package including Professional 36” Gas Range w/6 Burners & lower Oven, Wall Oven, Range Hood, Microwave & Dishwasher. Master Spa Bath offers beautifully detailed Tiled Flooring, Separate Custom Vanities with Granite Tops, Oversized hand-crafted Tile Work including Freestanding Tub and Luxurious Separate Walk-in Shower with multiple shower heads. Double Walk-in Closets with customized wood shelving and site finished hardwood floors. Many upstairs Bedrooms with Vaulted Ceilings for additional volume & character. Second Floor Recreational Room featuring Granite Wet Bar with space for Beverage Frig. Includes Hobby Room / Home Office. Outdoor Living Areas includes 900 sq.ft. of Covered Back Porch and Expansive Premium Wood Decking with Private Wooded Views. High Performing Asphalt Shingles – Belmont™ by CertainTeed virtually maintenance free and backed by a lifetime limited warranty.